In an unprecedented decision last month, the collegium headed by Chief Justice of India RM Lodha had suggested names of two previous solicitors general, Gopal Subramaniam and RF Nariman, to the government for appointment as judges of the Supreme Court. While this recommendation was awaiting Government’s nod, with all the other formalities fulfilled, Economic Times reported that the Government is now rethinking on the “suitability” of Gopal Subramaniam’s appointment. Although the Constitution of India provides for appointment through three categories of persons, namely high court judges, lawyers and academics. However, unlike United States, the Supreme Court judges in India are seldom appointed from members of the bar. Usually, a former Chief Justice of a High Court is elevated to the position of a SC judge. Out of total 210 Supreme Court judges appointment made since 1950, only four appointments have been done out of the category of High Court judges. The first one being made in 1964 when Justice S M Sikri was appointed followed by the appointment of Justice S C Roy in 1971, Justice Kuldip Singh in 1988 and Justice Santosh Hegde in 1999. Presently, the appointment of judges to the Supreme Court and the High Court is provided under Article 124(2) and Article 217(1) of the Constitution of India, 1950. Under these provisions, the President of India is required to “consult” with the Chief Justice of India and in case of High Court appointments, to consult the Governor and the Chief Justice of the respective High Court. The Supreme Court in the case of Supreme Court Advocates-on-Record Association v. Union of India construed the word “consultation” to be equal to “concurrence”. The Advisory Opinion of the Supreme Court in 1998 laid down the process of appointment, whereby the judiciary through its “collegiums” consisting of the Chief Justice and two or four senior judges, would propose names to the President, who then is bound by the decision of the Collegium. This procedure of appointment in effect, confers upon the judiciary the power to appoint judges of the higher courts. Hence, senior Supreme Court lawyer and nominated Rajya Sabha member KTS Tulsi was quoted by ET as saying, “The collegium is not known to reconsider its decision in face of government opposition or disapproval. The government knows that very well. So the best it can do is not to send back the file and just sit on it. There is no time limit in which the government has to clear it." 56 year old Subramaniam is known for his mild manners. He has functioned as Amicus Curiae in several cases, charging more than Rs.5-lakhs per appearance as a Senior Supreme Court Advocate. 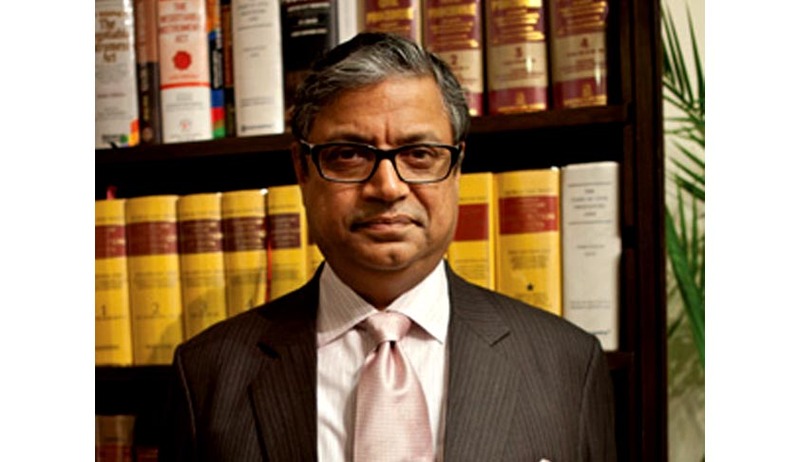 Subramaniam was an Additional Solicitor General from 2005 to 2009 and later Solicitor General upto 2011. He was also chairman of Bar Council of India for 2010-11. He was lead counsel for CBI in the 26/11 Mumbai terror attack case that led to Kasab's conviction. He also represented the CBI in the 1993 Mumbai serial blasts case and was prosecution counsel in the Parliament terror attack case. Since will have a nine year tenure as Judge of the Supreme Court, he is most likely to be Chief Justice after retirement of Justice N.V. Ramana who retires on 26.8.2022 . The Collegium also recommended appointment of Chief Justices of Calcutta and Orissa High Courts, Justice Arun Mishra and Justice Adarsh Kumar Goel as judges of the Supreme Court.